In this business, time is critical. 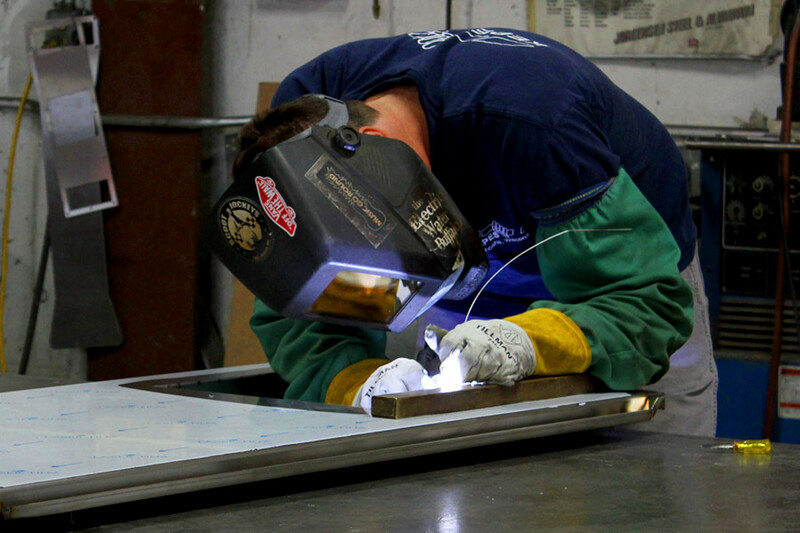 Ultra-Fab's experience with stainless fabrication means your job goes from blueprints to actual product without delays. With our machining capabilities we are able to closely monitor the quality of work performed on sub-assembly components. This is critical to the structural integrity of finished products. Attention to detail and experienced polishers is the key to a proper finish. 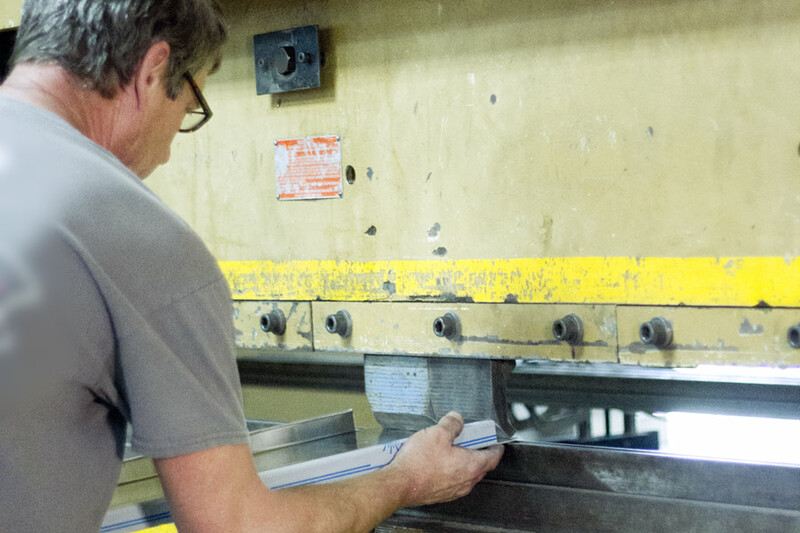 Our metal finishers set high standards for their work and it shows. 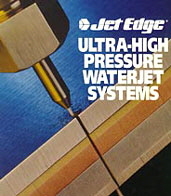 Jet Edge waterjet technology is ideal for cutting heat-sensitive material, and costs due to thermal distortion of machine parts are eliminated. Risk of fatigue failure resulting from process induced thermal stressing and associated material structural change is minimized. The practical elimination of airborne dust particles, smoke, fumes and contaminants from cutting materials such as asbestos and fiberglass greatly improves the work environment and reduces problems arising from operator exposure. Selection of appropriate cutting parameters such as operating pressure, material feed rate, abrasive particle size and flow rate can eliminate the need for secondary operations. 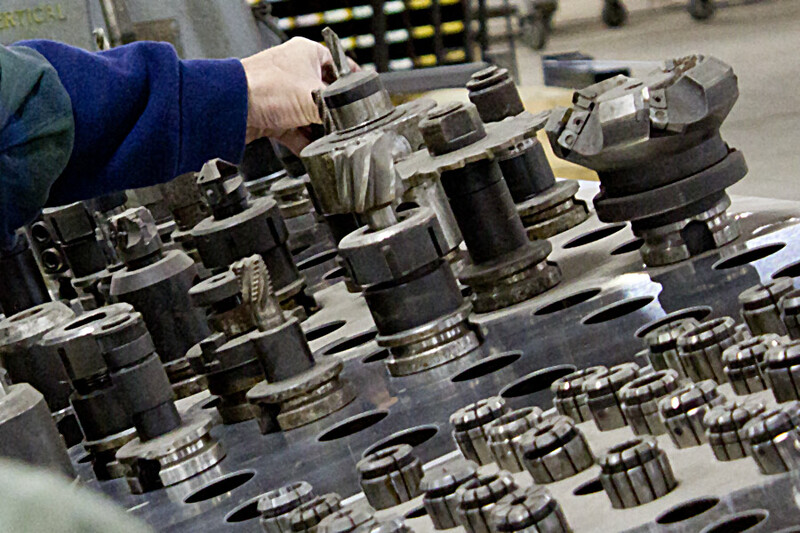 Jet Edge systems also reduce machining time and production costs. USDA approved equipment designs promote the use of ultra-high water pressure jet streams in the sanitary cutting of food products. This results in higher cutting speeds and the elimination of associated downtime incurred for cleaning and resharpening delicate blades. 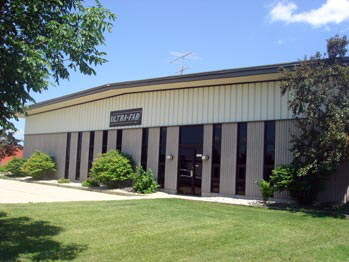 Jet Edge systems reduce fixturing costs plus avoid excessive stress to finished parts. Also, minimal lateral force simplifies material handling and allows cutting close to material edges. With typical orifice diameters in the range of .003 - .030 inches, waterjet kerf width is kept to a minimum, thus maximizing material utilization. Waterjet cut profiles are not confined to straight line geometries. Part complexity is limited only by the motion control system specified and traditional start holes are eliminated. 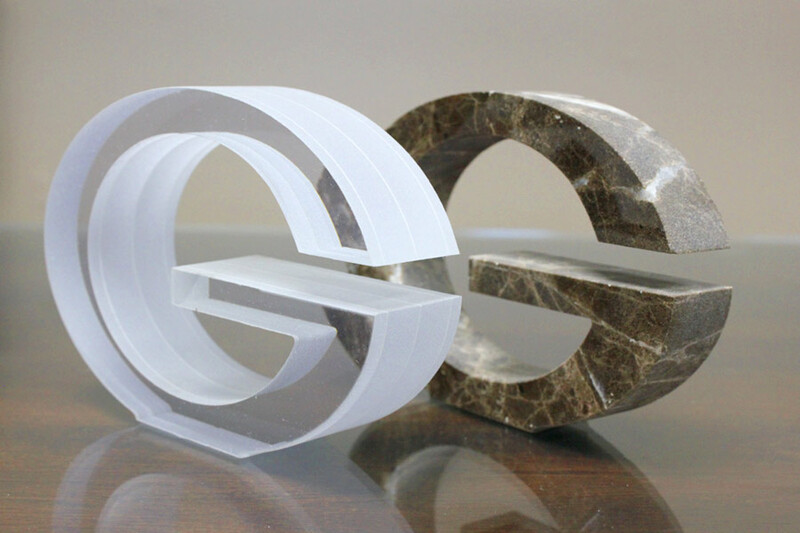 WaterJet is the most flexible and effective cutting and cleaning solution available for a variety of industrial needs. Abrasive Jet cutting uses a combination of water and garnet to cut through materials considered Unmachinable by conventional cutting methods. Contact Ultra-Fab today and discover how we can put this system to work for you. Our tradesmen know the importance of a proper weld and more importantly have the know-how to do it right. Our growing CNC Manufacturing and Engineering Department has 2 Matsuura MC-800 VF vertical machining centers. 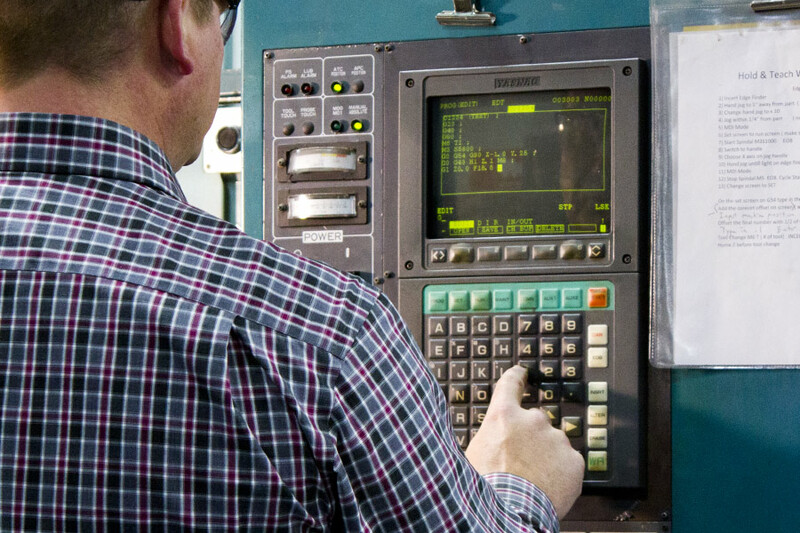 Let us process, engineer and manufacture your CNC Mill work, whether it is a one piece or 500 piece order, Ultra-Fab, Inc. has got you covered. We design, and build our own fixture and work holding in house and we use Auto Desk along with Feature CAM as our CAD/CAM system to ensure that high quality and perfection is met at all times. The "Formula 62" process is a resonance based method of vibratory stress relief. 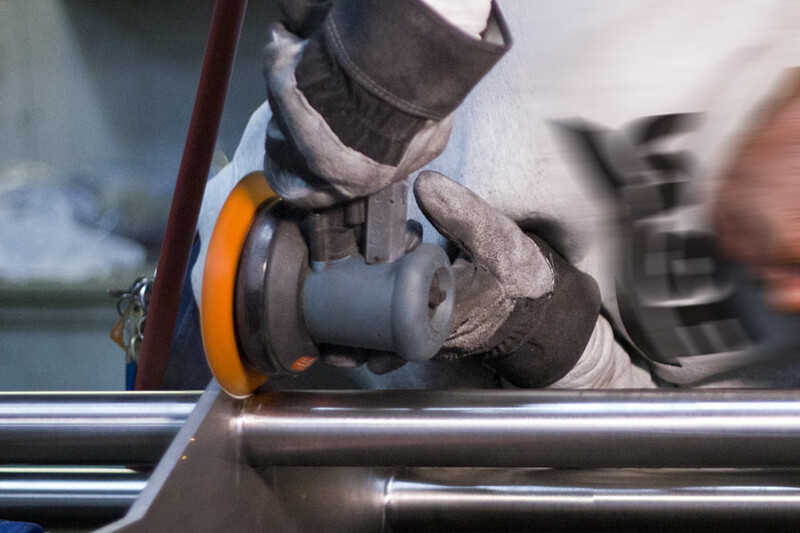 Vibratory stress relief is often referred to as VSR or, in it's more generic form, also referred to as vibration conditioning or vibratory weld conditioning (VWC). Workpieces are subjected to low frequency vibrations for a short period of time either during welding or after welding and at various times during machining to promote dimensional stability. The process is quick, clean and very energy efficient. 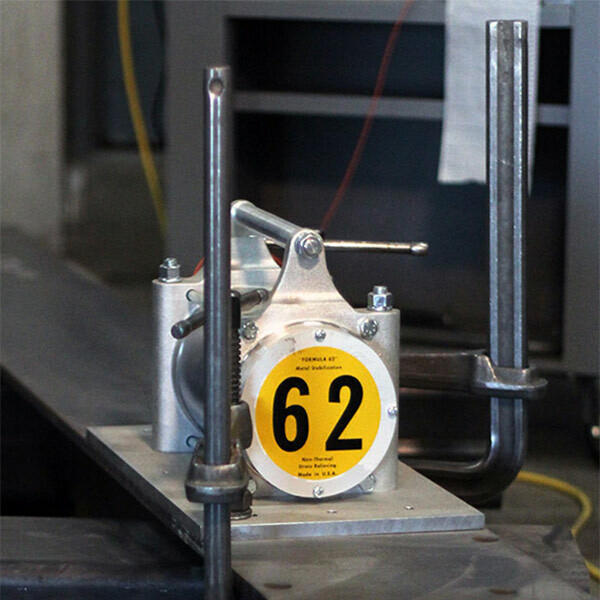 It is designed as a shop tool for use by your personnel and adaptable to most manufacturing environments.